Hello! 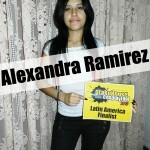 My name is Alexandra Ramírez, I'm from Caracas - Venezuela and I'm so happy to have been qualified as a Latin America finalist. 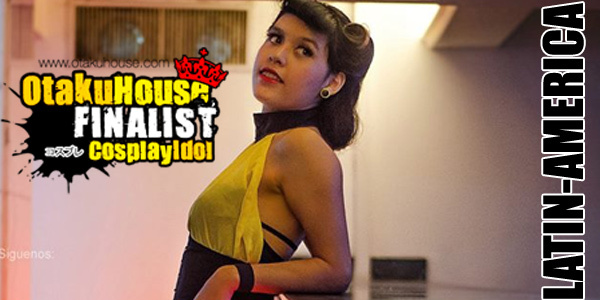 Thank you very much to everyone who voted for me even without knowing I'm really grateful. I hope you like my work. Always be giving it my best! Description: Oh Freya! Is the "antagonist" in one of my favorite manga. This cosplay was love at first sight, when I saw it in the manga and anime knew I had to do it! I love her long hair and her expression of melancholy. I like Chii but Freya, Freya is more me than Chii.I take a lot of work out how to add the layer to the suit without look bad but I found the solution! Description: I love this character since I saw it for the first time in Watchmen ♥ I always wanted to cosplay her but for some reason or another could never. Until one day I was given the great oppotunity to join a group of Watchmen and I knew it was time. This cosplay has an incredible amount of detail; from the desing, color and shape of the nails to earrings and eyelashes. I'm incredibly happy with the result! Photo credits: Caracas Free Mind. Series name:(Videogame) Metal Gear Solid 4: Guns of the patriots. Photo credits: Numas Zerpa. Photo credits: Caracas Free Mind.